The Bethany Relay Station was commissioned in 1944 to combat Nazi propaganda. Photo by Abbey Marshall. These words were among the first broadcast to hit the radio waves from the Bethany Relay Station in West Chester to Europe in 1944. Contrary to popular belief, Voice of America is more than a shopping center and scenic park; it is a historical landmark. 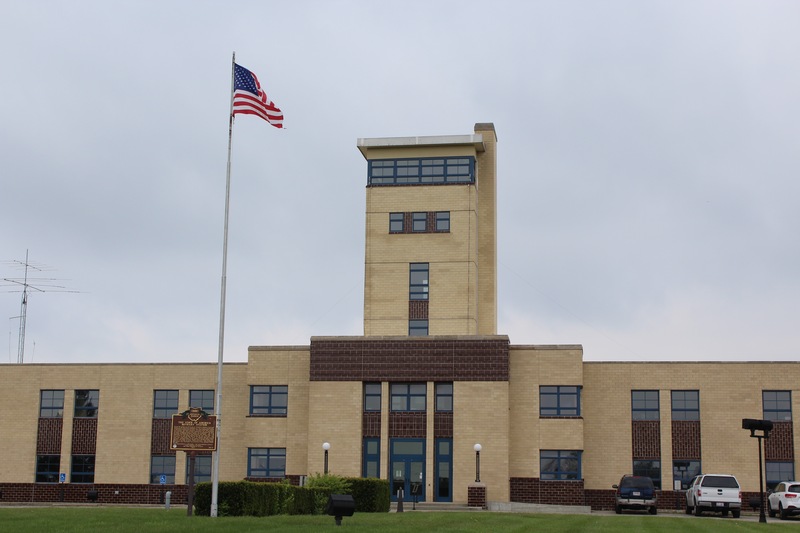 Just off Tylersville Road is one of the three original radio stations in the country that legally utilized the most powerful short wave transmitters in the world to broadcast to Europe to combat Adolf Hitler’s propaganda, said former Voice of America employee David Snyder. Although Americans paid little attention to the messages at the time, Snyder said, involvement in the war was sparked by the attack on Pearl Harbor. In response to the attack, President Theodore Roosevelt and newly appointed Coordinator of Information Nelson Rockefeller discovered a roundabout method to broadcast overseas. They conducted a secret meeting in Washington D.C. to discuss what the next steps would be. Out of that meeting, three contracts were constructed to build three short wave transmitting plant. Two of those plants were in California, one by NBC and one by CBS, and the third was by Crosley Broadcasting in Cincinnati. The Bethany Relay Station’s purpose was to inform the general public in Germany. Hitler’s second hand man, Joseph Goebbels, made the statement that radio would be to the twentieth century what the printing press was to the nineteenth. He developed the idea for a subsidized radio receiver. The Third Reich would pay three quarters of the cost to make the equipment more affordable for the common people in order to relay propaganda messages. By 1938, every other household in Germany had a Volksempfänger, or people’s radio. At the time, the WLW tower standing erect in Mason emitted a whopping 500,000 watts in order to reach Europe. As a result, Hitler was able to pinpoint the origin of the American broadcasts. “In 1944, Hitler knew where those strong radio signals were coming from, so he called us ‘those Cincinnati liars’,” Snyder said. As a result of changing technology, the station was decommissioned and closed in November 1994. After the towers were brought down in the following years, West Chester received nearly 500 acres and the history building. The building is currently a museum under renovations to become more developed, Snyder said. Visitors can attend the museum once a month. They are able to take a walk through the timeline of radio, analyze the nuts and bolts behind the transmitters, stroll through the wall of fame of the movie and television stars who got their start in Cincinnati radio, and watch a 17 minute film created by George Clooney’s father, Nick Clooney. Snyder said, however, the project is far from finished. The next fundraiser will be a musical program by Middletown Symphony and Cincinnati Ballet Orchestra director Carmon Deleon on June 4 in order to fund handicapped accessible restrooms and a new entrance. Snyder said he believes people not only in Mason, but all over the world should be informed about the importance radio stations played in World War II. 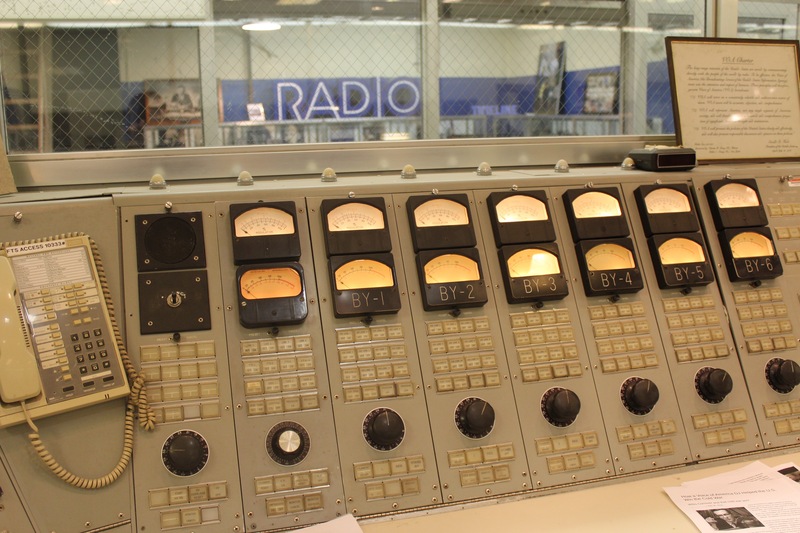 The control room of Bethany Relay Station was referred to as “The Temple of Radio”. Photo by Abbey Marshall.